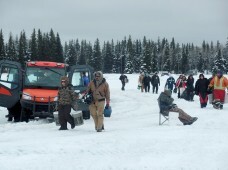 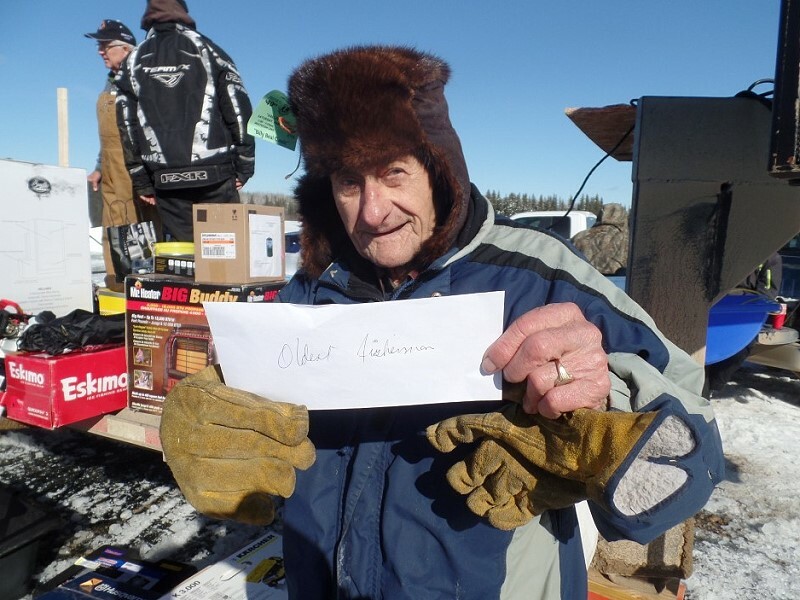 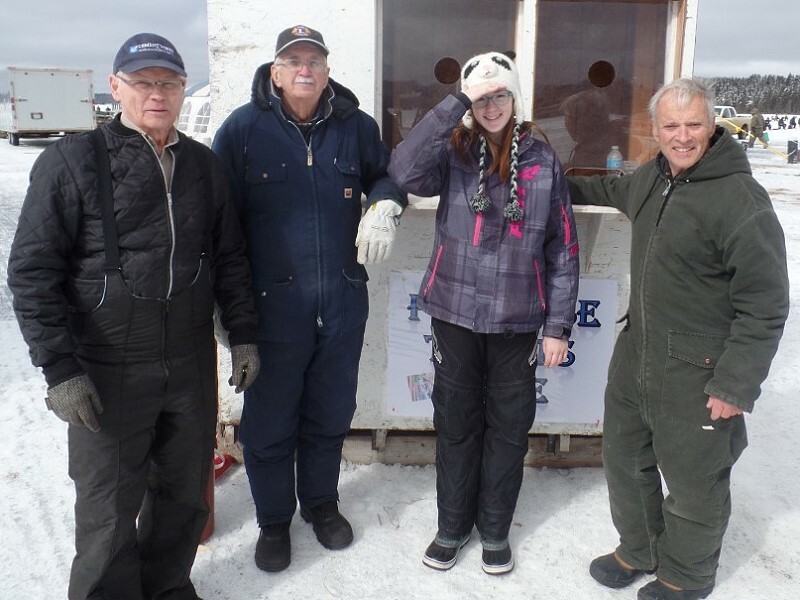 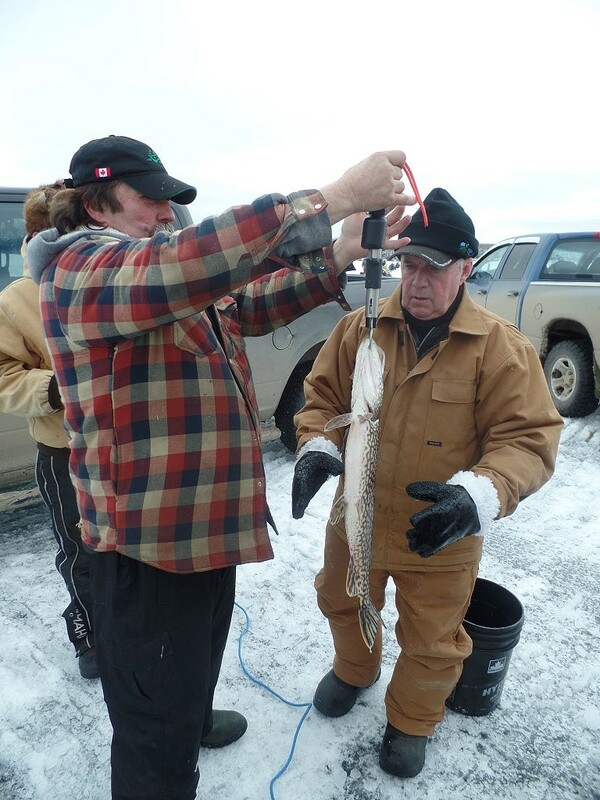 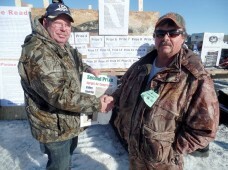 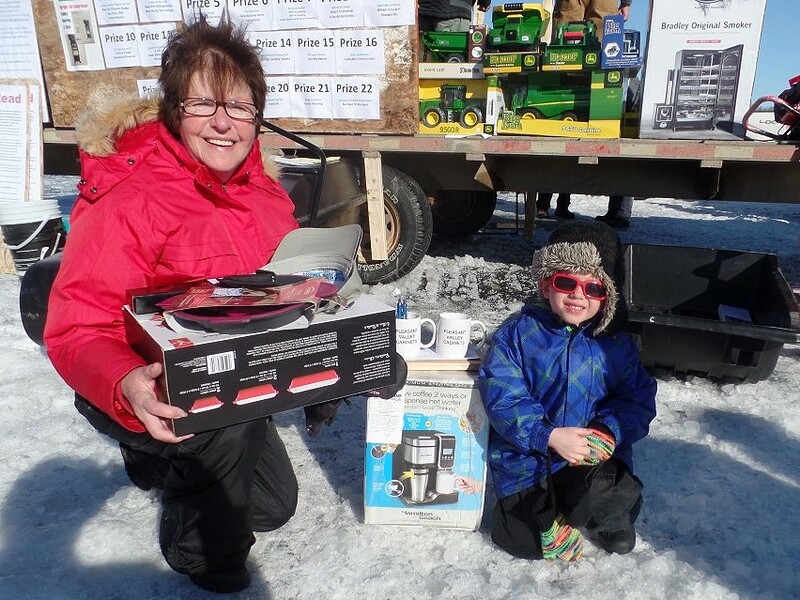 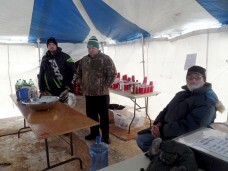 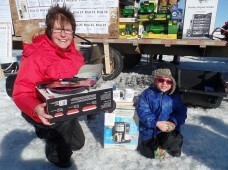 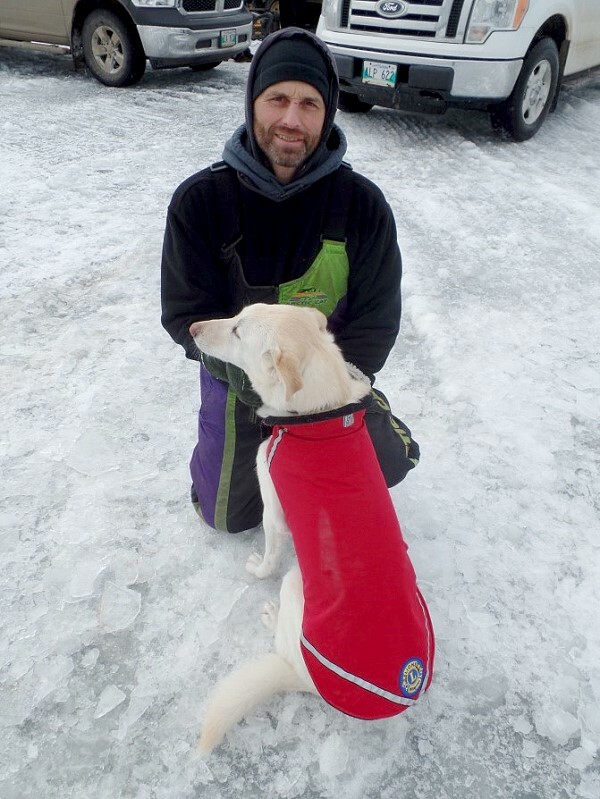 The 2016 Billy Beal Ice Fishing Derby was held on Saturday, March 19th at Whitefish Lake. 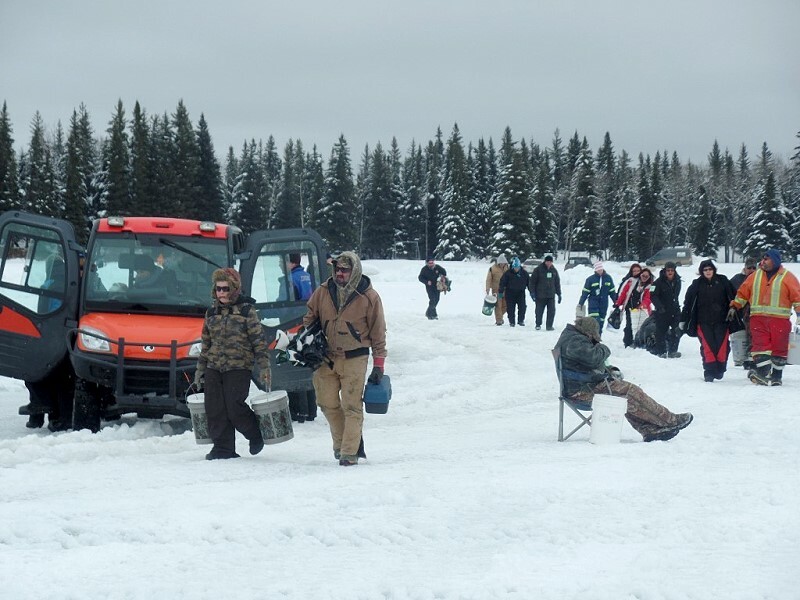 525 people came out to enjoy the beautiful weather and another great day of ice fishing at the 19th annual Billy Beal derby. 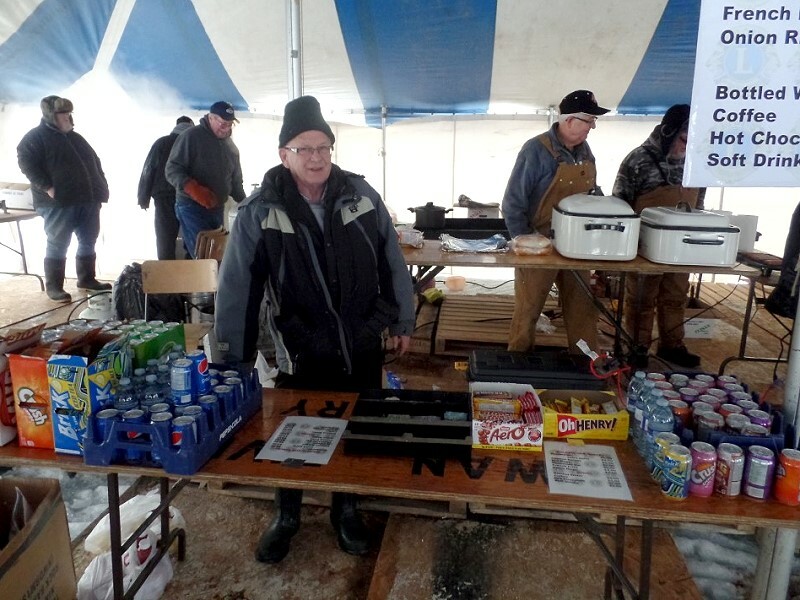 The event is an annual fundraiser put on by the three local Swan Valley Lion Clubs (Bowsman, Minitonas, and Swan River) for the Swan Valley Lions Medical Assistance Fund. As of March 14, 2016 the Swan Valley Lions Medical Assistance Fund has paid out $199,870.16 to help 246 residents of the Swan River Valley with their medical needs. 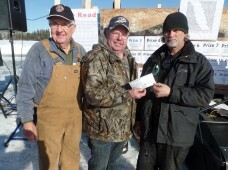 Administration costs after 15 years is $206.63. 16 fish in total were caught. 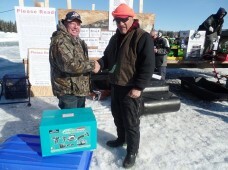 The $10, 000 grand prize went to Dan Doruschuk (pictured above) from Norquay, Saskatchewan who’s northern pike weighed in at 6 pounds and 14 ounces. Second place was Lucien Fayant with a 3 pound six ounce pike. 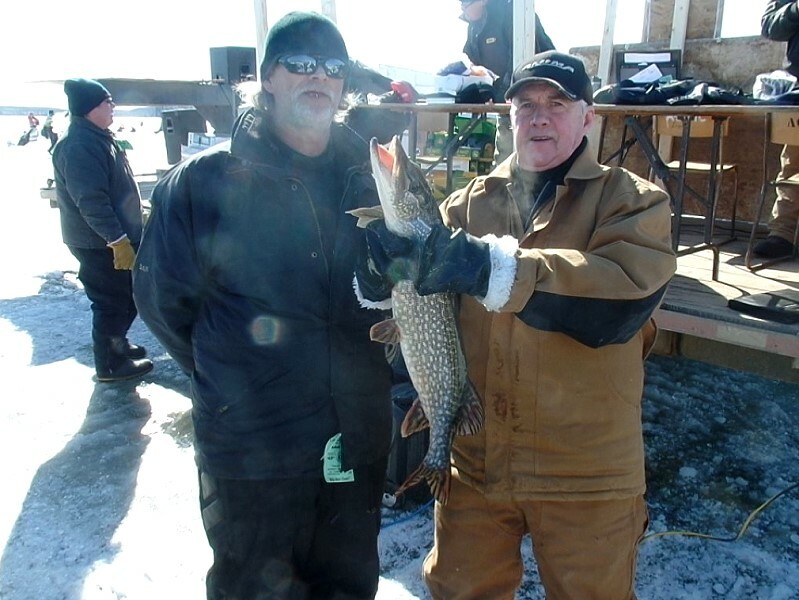 A close third place went to Dennis Barker with his 3 pound five ounce pike. 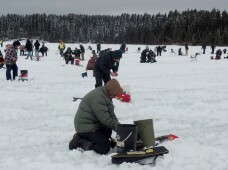 No perch were caught and Josh Pollock was the lucky winner drawn from the tickets for the Heaviest Perch. 50/50 winners were Jud Scales for the $1250, Cathy Roirie for the $750, and Erv Parachoniak got $500. 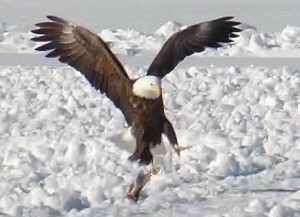 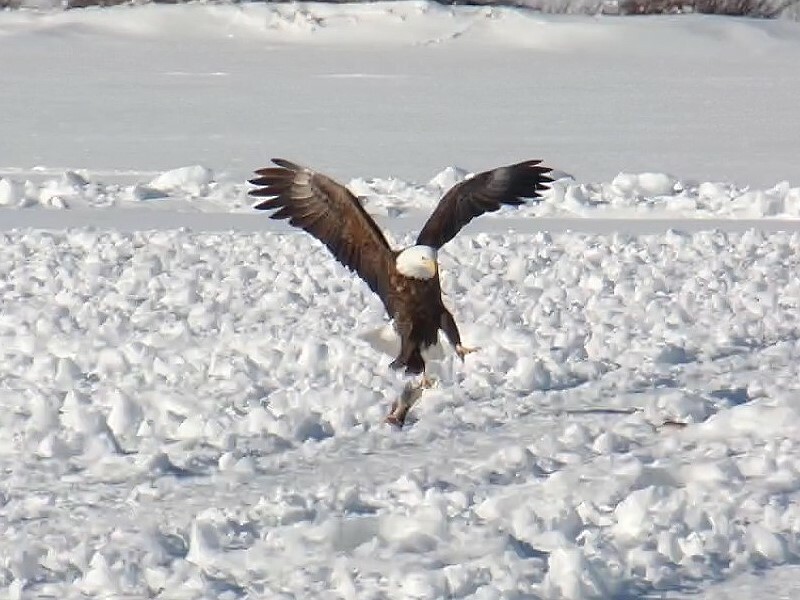 “Baldest Fisherman” was awarded to the bald eagle who arrived to help us with the cleanup after the crowd left. 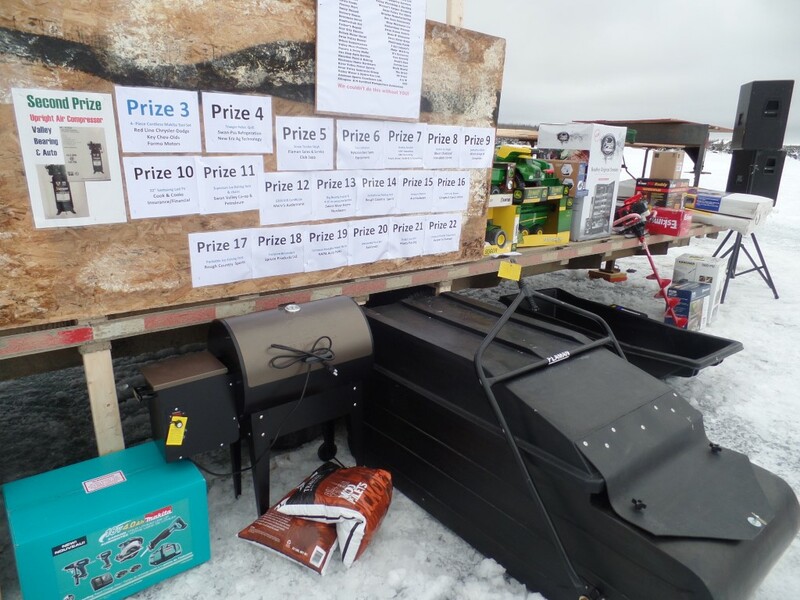 Congratulations and thank you to our prize winners and to all of our participants, helpers, and sponsors who made the day a huge success and for supporting our Swan Valley Lions Medical Assistance Fund.